As experts in dental marketing, we are going to teach you everything you need to know in this post. Let’s get started. Dental marketing includes everything from email marketing, advertising and SEO. There’s a lot of ground to cover, which is why I put together this list of some of the best marketing ideas to help grow your dental practice. The best way to get new clients? From existing ones. Think about it, are you more likely to trust an ad you see on Google, or the recommendation from a close friend? You probably chose a close friend, and you’re not alone. In fact, 92% of consumers say they trust referrals from their peers, and 74% say word of mouth is a key influencer in their purchasing decisions. But the thing is, customer’s don’t always realize that your business needs their help. So let them know, and give them a reason to follow through. A referral program is meant to incentivize your customers to spread the word about your business. To set up a successful program, you’ll need to outline your goals and provide an incentive that’s relevant to your clientele. In this case, it could be a coupon for a free cleaning or percentage off their next visit. If you notice any of your services are in particularly high demand – say, teeth whitening – you could offer a discount for that particular service as well. Once you’ve determined your incentive, it’s time to advertise. Don’t just tell your customers about it; provide cards, emails, and social media updates to keep your offer fresh in their minds. Email marketing is still one of the most effective ways to reach your audience, especially when it comes to healthcare professionals. In fact, 62% of healthcare professionals prefer communication via email over direct mail, phone calls or drop-ins. Use email to set up appointments, offer different times, and even handle billing. Better yet, periodically send “we miss you!” emails to any customers who haven’t made an appointment in a while, or send annual cleaning reminder emails. You can also use email to create a neighborhood newsletter; it will further the sense of community and keep your clientele up-to-date on any news or promotions, as well as highlight any of your company’s activity in the community. Outside of this, it is very important to set up an automation campaign for your patients. This will remind them when their next appointment is, making sure they don’t skip out. If you can, it is a good idea to also integrate this with text messaging. Facebook is an extremely powerful advertising platform, do in particular to its extensive targeting abilities. Part of that targeting is put into play in its Local Awareness Ads, designed specifically to be shown to people near your business location. Using them lets you set location parameters, such as people within a 20 mile radius, which will then signal to Facebook that your ads should only be shown to those within in that radius. Through the ads, you can highlight any current promotions and easily add in call-to-action buttons, such as Get Directions or Call Now. Creating the ad is easy; simply log into your Facebook Ads manager and select Local Awareness as your ad type. Next, you’ll enter your business location and the area you’d like to target. Then you’ll select your target audience filters, and continue to create the ad as usual. It is also a good idea to get your clients to like your Facebook page. This will allow you to create a community audience to advertise to. If you can’t get them to like your page, you can always target them by uploading their email addresses as well. Need more ways to stay in contact? Start with a welcome email. On average, 320% more revenue is attributed to them on a per email basis than other promotional emails. For starters, I’d say that’s pretty good. Any time a new client visits, make sure you send that welcome email with any important information. It’s also a great time to mention that referral program you’ve set up. Another way to make sure you’re clients are coming through is to send them appointment reminders a day before or day of their appointment. Or, go with a modern method and send reminders via text message. Either way, it’s a valuable way to stay in contact with your customers and make sure they show up for appointments. We’ve already talked Facebook targeting, but the same principle applies to your AdWords ads in Google. Your targeting options here are impressive as well, and one way to make sure your ads reach the right audience is to target by income. That way you can set up different ads to target different segments of your audience. For example, you could target routine cleanings to lower income levels, while delivering ads for elective or cosmetic procedures like teeth whitening to those with higher incomes. To set up the ad with the correct targeting, log in to your AdWords manager and create your ad as usual. In your campaign, click “Settings” and select the “Locations” tab. Here, you’ll be able to enter a location and select the household income tier you’d like to target. While we’re on the subject, let’s take a look at AdWords extensions. A normal ad on Google includes a headline, short description, and URL. But extensions allow advertisers to include useful additional information like customer reviews, contact information, etc. While there are plenty of extensions available, a local business will benefit most from location extensions. These show searchers your exact location, and can include your address, hours, photos, directions, etc. Another extension ideally suited for dental marketing is the call extension. These allow you to add to add your phone number to your add, and give mobile users the option to simply click and button and call. For a business whose primary goal is to book appointments, that’s a handy extension to have. Did you know? 50% of consumers who do a local search on their smartphone visit the store within a day. So if you don’t have a solid local SEO strategy in place, you’re missing out on big numbers. Local SEO is all about optimizing your site and online presence for a local audience. That means incorporating plenty of location-based keywords, such as dental offices near Nashville, TN and common variations. Use those keywords in your content, title tags, meta descriptions, images, header, and Google My Business page. Speaking of Google My Business, make sure you claim your page and fill it out accurately. Optimize your description with relevant keywords and include links to your website. Most importantly, remember to include your NAP (name, address, location) in as many places as possible. Like Facebook local ads, you can set up local search ads for Google AdWords. These ads work just like regular Google ads – with all the targeting abilities and extensions available. What’s different is that they’re aimed at a local audience. So when someone types in “dental offices near me,” it could pull your ad. Even better? They could show up in Google Map searches. Social media is a must when it comes to marketing. It can be particularly useful for local businesses, with 70% of customers choosing a local business who has a social media site. Use social media to establish yourself in your community, and engage with customers promotions and giveaways. If your practice participates in any local events, use social media to promote what you’re doing. To start a successful strategy, make sure you’ve analyzed your target audience and which social networks they frequent. Spend some time getting acquainted with the site, and do a little research into any local competitors. What kind of content are they posting, and what seems to resonate most with their audience? Then, build up your following through special offers and promotions, and begin to offer you audience relevant, engaging content. Show photos of your staff and clientele, share general dental hygiene tips, and even expand your content to include general wellness articles and facts. Online reviews can make or break a business. Clearly, reviews are a big deal. But how do you get them? First and foremost, simply ask your customers to leave a review. 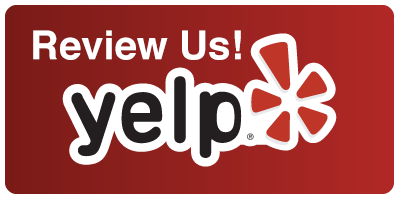 Include it any emails you send, and include “leave us a Yelp review!” on your business cards. Make it a priority throughout the whole office, and make sure all personnel is trained and able to ask for reviews. Behind every children’s sports team is a sponsor. Usually, that sponsor is a local business. It’s a great way to get your name out in the community and participate in a good cause – two things that are great for PR. It’s also a great time to slip in a free toothbrush or toothpaste (and a business card). Remember, it’s all about proximity. Your most likely customers are the ones right next door, so don’t exclude surrounding businesses (and their employees) in your marketing efforts. Go door-to-door with free sway bags and make an effort to take interest in their business – hopefully, they’ll return the favor. Another idea is to organize company volunteer activities. Get the office together and support a local cause, all while indirectly promoting your business. Videos have taken the marketing world by storm, and the healthcare industry is no exception. According to Google’s survey of 700 healthcare administrators, every customer reported watching videos to see product demonstrations. And afterward? 79% continued on to the manufacturer’s website. While dental hygiene videos may not seem the most appealing, any dentist can tell you the number of people who don’t brush or floss correctly will surprise. So film how-to, educational videos and post them on your website and social media pages. Beyond how-to’s, you can use videos to introduce your practice and its personnel and show off a little personality. It will give customers an idea of what to expect when they come to your office, and help form a more personal connection. With 65 million monthly active users, Waze is quickly becoming one of the most popular apps for navigation. That makes it an ideal place to advertise a local business. Using Waze’s ad interface, you can target drivers on the move who are near your business. Here’s how it works: Use the Zero-speed takeover option. When drivers are stopped for at least three seconds, Waze can show high-impact ads that disappear when the car moves. Alternatively, brands Branded pins to sponsor locations on a user’s app, along with various CTA’s like rerouting to the brand’s location, a link to more information or the option to save for later. You also have the option to choose Promoted Search, which works like traditional search engine sponsored ads and appear at the top of Waze search results. The set up process is similar to AdWords; you choose your ad type, enter your name, location, and creative, and set your monthly budget. Advertising on Waze is an extremely effective way to advertise to a local audience. Even better, you can get them on the go as they’re searching. Sounds like a win/win to me. One of the most powerful ways to target potential leads is through remarketing. Remarketing, also called retargeting, is a way to target ads to people who have previously visited your website. It’s pretty cool, and incredibly effective. So effective that for some industries, it can lead to a 147% higher conversion rate over time. Not only that, but visitors who are retargeted with display ads are 70% more likely to convert on your website. Facebook remarketing ads require you to set up a custom audience based on website traffic. To do so, you’ll need to install the Facebook pixel on your site. Once installed, the pixel will track all the visitors to your website, and target your ads to that audience specifically. It’s a great way to remind visitors of any previous interest of that they’re in need an appointment. For more information on Facebook remarketing and how to set it up for your business, read my full guide. This one should become second nature: anytime you send an email or run an ad, always include a call-to-action (CTA). A clear CTA lets the reader know exactly what you expect from them, and in turn, increases the likelihood that they’ll actually do it. Always remember to try and create a sense of urgency, and make your desired action clear. Growing a business is no easy task. Luckily, the methods above make it easier than ever to connect with customers. Pick a few of your favorites and start experimenting – you’ll be seeing results sooner than you think.